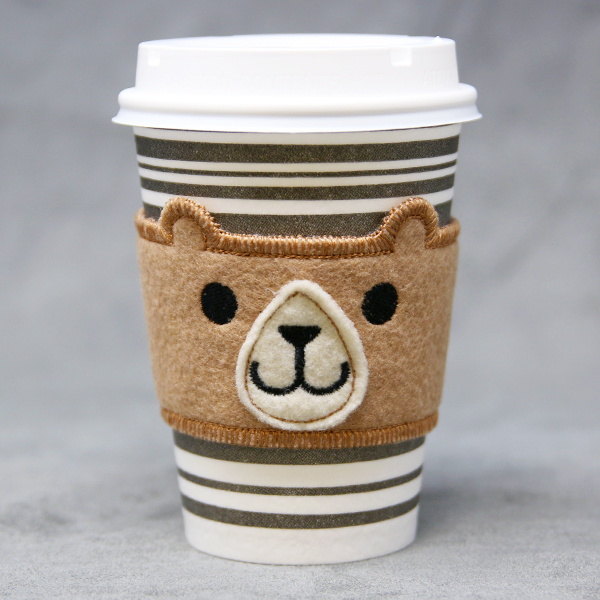 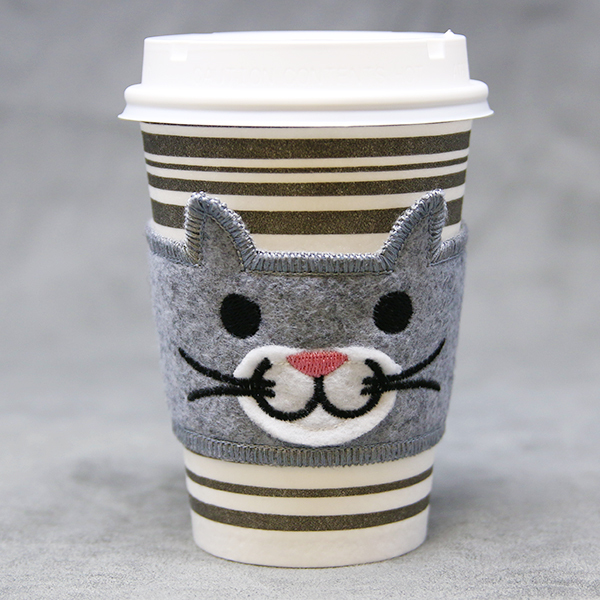 Keep your hands and your coffee warm with this adorable in-the-hoop coffee cup cozy! 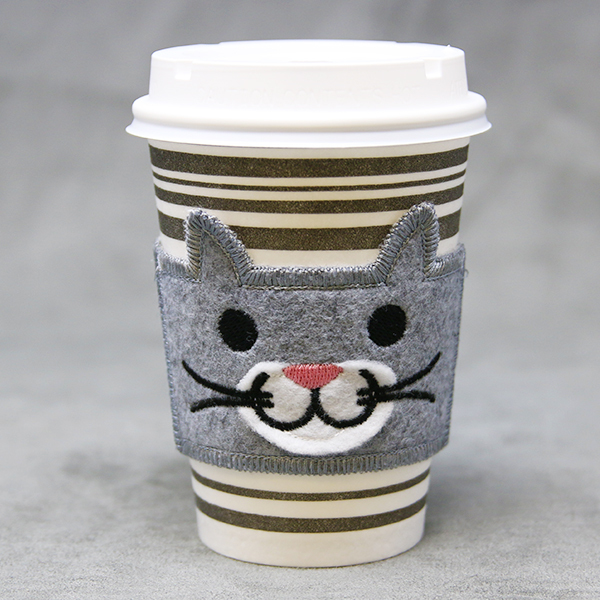 Project instructions will show you how to stitch this charming sleeve in-the-hoop. 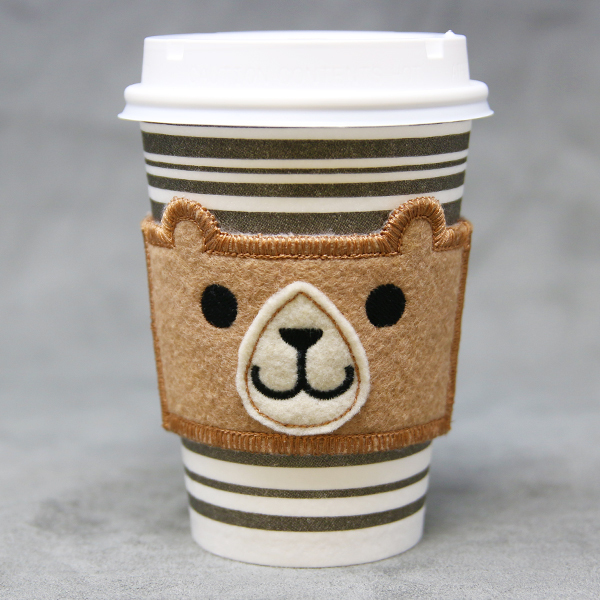 This design stitches in three pieces that assemble to make a finished cozy about 10.25" long by 2.5" high, sized to wrap around a standard paper coffee cup.